What can you do in an hour that will help you dig up or nurture leads? Tackling one of these activities will do two things for your business. 1) it will spur your thinking about other marketing tactics you can deploy that will help you get noticed and trusted by people who are looking for your products and services. 2) It will quite possibly earn you some financial return on your invested hour! You have a database with names and email addresses— now use it! Think about an email you would open and read; something that is truly useful to people who will see it in their inbox. Make it informative and helpful, establishing you as a trusted expert adviser. It could be an offer or discount, or a flash sale. Or how about promoting a recent blog entry or upcoming event? Tell a story about your business or a client (we all love stories!) Write a heartfelt customer appreciation message or profile one of your awesome staff members. Writing the perfect marketing email is both art and science, and if you've never done it before, consider this as practice. Make it short and snappy with an intriguing subject line that makes the reader ask a question. If you don't currently have a CRM (Customer Relationship Management) platform or use an email service like Constant Contact, it may be worth adding another hour to your afternoon to do some research on platforms that can help you with marketing emails. Google ads are what you see when you type in a search phrase like "Tires" and there are a few entries that appear at the very top of the screen with a little green ad symbol next to the link. Right now, Google is allowing four of those to sit above the local search results— the map with listings and locations. How do Google ads work? That's a long and complicated story. They do work, though. And Google is great about walking you through a simple step-by-step process of creating your first ad. You set your dollar limit, write up an ad and off you go. Head over to Google Ads to start exploring. By the way, if you don't already have a "Google My Business" account, set one up now. It's how your competitors show up on the map when locals search for you. Although Google is getting away from a rigidly formulaic approach to keywords and key phrases, they are still vitally important to getting found online. Let's just say this: Not paying attention to keywords has no upside at all. Do a bit of exploration on words and phrases that people use to find your line of work. For us, "Web Design" and "Internet Marketing" are popular search terms people type or speak into a Google search, so we include them as often as possible in our website and blogs (see- we just did it!). First, brainstorm what you think are your best keywords. Then, try them out in searches. See what else people are typing in by looking at the drop-down list that appears as you type in your phrase. Here we typed in "Dalmatians" and found this top-ten list of phrases people are using. There may be some ideas there that you can use in a blog or a page on your website. If you really want to dig into keyword research, use the tool found in the Google Ads platform- once you set up your account, you can explore more there. It's a given that businesses who blog do better with online lead generation than those who don't. Many studies on business blogging have demonstrated this, so we're going to assume that you are on board with your company's blog. Take your hour to jot down a few words about a topic that your sales leads want to know about. What questions do you get in the sales process? What's an objection you routinely address with as you close deals? Tell your story— establish trust with your audience by getting personal. Your blog is the place to help leads get to know you. Discuss industry trends or make predictions. 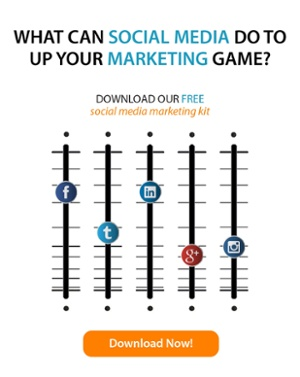 Find out what topics that are engaging readers on social media. Offer an opinion on an issue that affects your buyers. One of the best ways to prime the pump is to stalk your competitors' blogs. See what they are writing about and you'll get plenty of ideas. Regular posts, we're talking every other day or so, are standard practice among businesses that successfully engage the public on their social media channels. If you're serious about social media marketing, don't dabble- jump in and stay there with your readers. Respond to comments every day! Videos - how about a tutorial about a product? A "tip of the week"
Use a post aggregator like HootSuite to plan and schedule a week's worth of posts on your main channels. Yes, it will take the entire hour and then some, but you've invested in some effective marketing! Buffer has a free basic plan for getting started, or you can us your hour to try Tweetdeck for Twitter or Socialoomph, and if you want more, try the paid version of platforms like Zoho Social to multiply your impact on all your channels! Do you know where your website traffic comes from, what pages are most popular or what caused that spike in website visits? Google Analytics is where those stories are told. It can be a bit complex, but worth a look. If your site isn't connected, visit the Google Analytics Get Started page to sign up. Helpful hint- United WebWorks provides monthly reports to all our clients using Google Analytics, so ask us how if you need help. LinkedIn and Facebook have a robust groups culture. LinkedIn has a "Discover" feature that enables you to enter a search term that returns a great list of opportunities to join online groups and participate in conversations- ask and answer questions, read updates and articles and more. There are so many clever ideas to pursue when marketing your business- why not outsource some of it? Start a conversation with United WebWorks on how to get noticed online. You're invited to browse through our blog articles to get a feel for what we do for our clients and what we can do for your business.